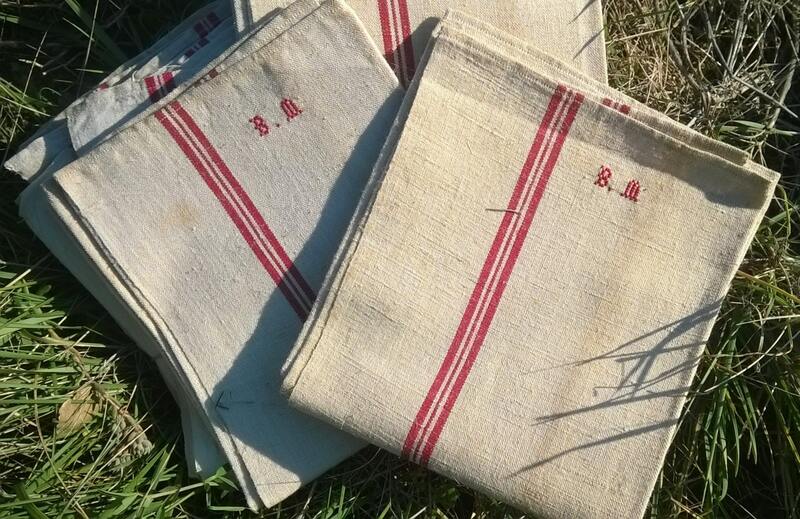 Large French pure woven linen dish cloth with "BM" monogram and a red line. 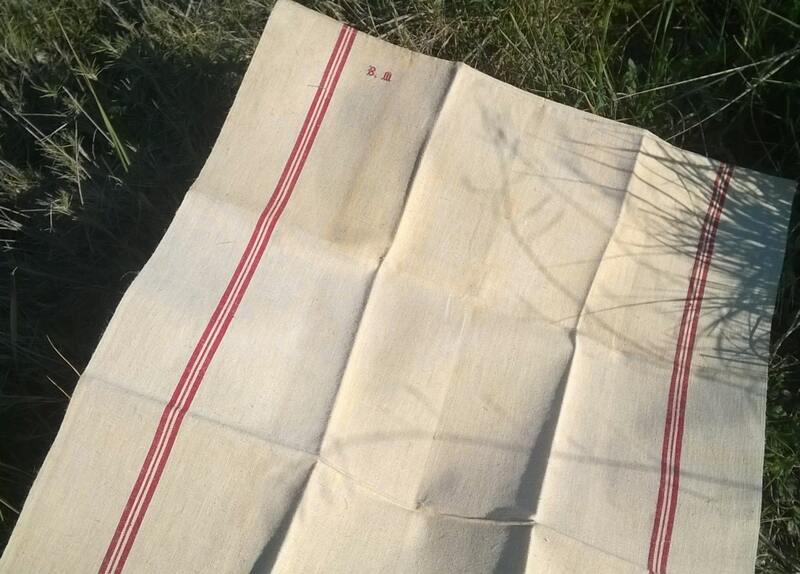 Unused Tea Towel . 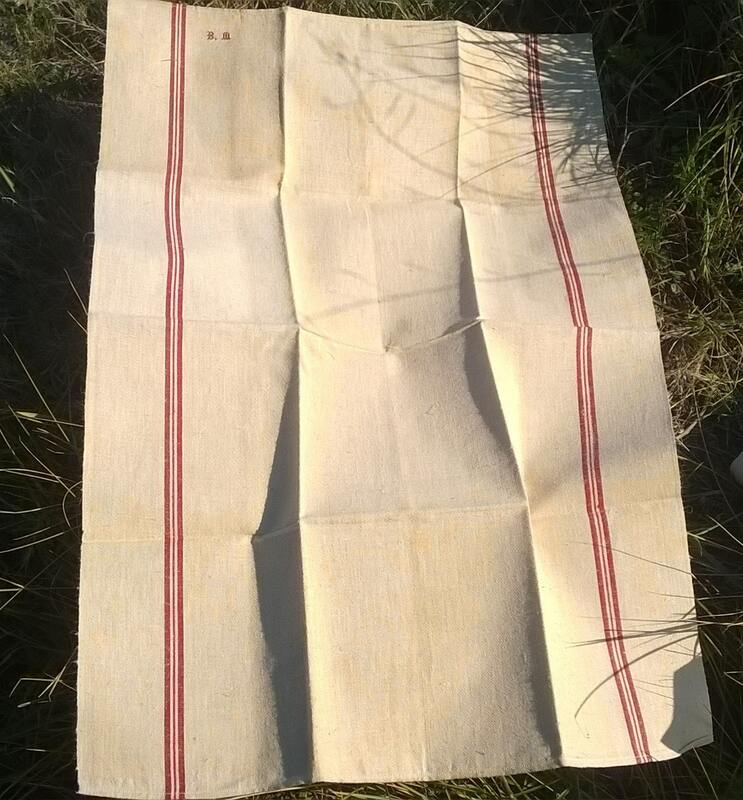 Handmade kitchen towel . 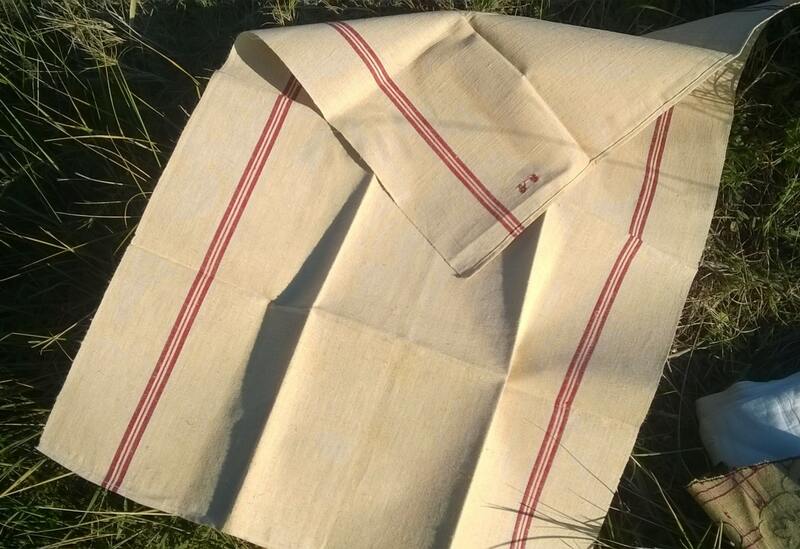 Off White Linen made with a red line and red monogram hand embroidered . Unused Good vintage condition . 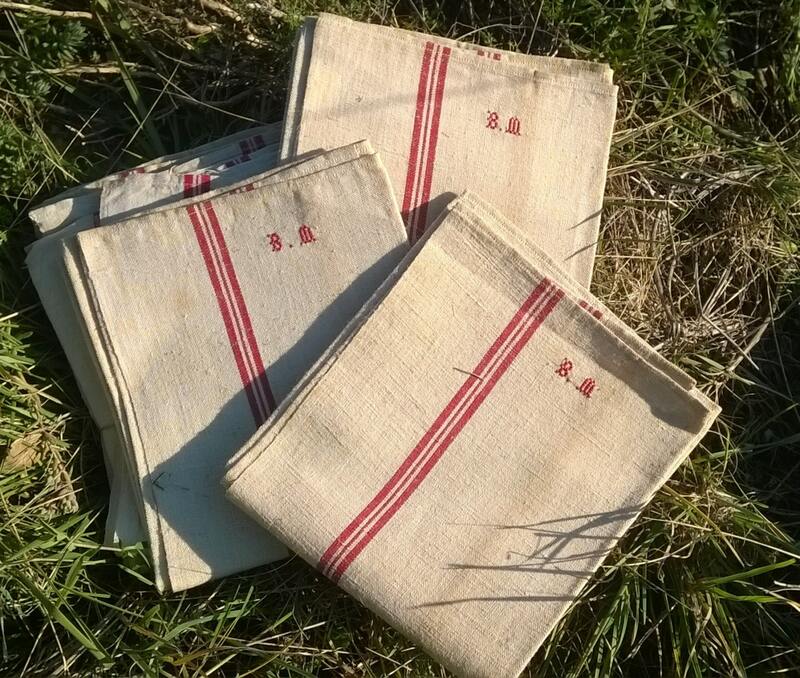 Rustic French country side linen kitchen towel !